I haven’t been buying many sets lately, but this is one that I’ve had my eye on for a while. Who wouldn’t love a tank with big punching fists driven by an armored strong-man. I was given a copy the other night in return for participating in a display at a local library and it seemed like a perfect time to review a new set. The Agents sets are full of interesting colors, and this one is no exception. A great selection of dark tan and flat silver elements for a set this size. I can’t say that I’m a big fan of the packaging design, but I’m not the target audience. My six-year-old son thinks they look great! Opening the box, there aren’t any surprises. A commonly sized instruction booklet, three bags of parts, and a small sheet of clear stickers. I set the stickers aside (I’m just not a fan) and opened up the bags so that I could get at the bricks. 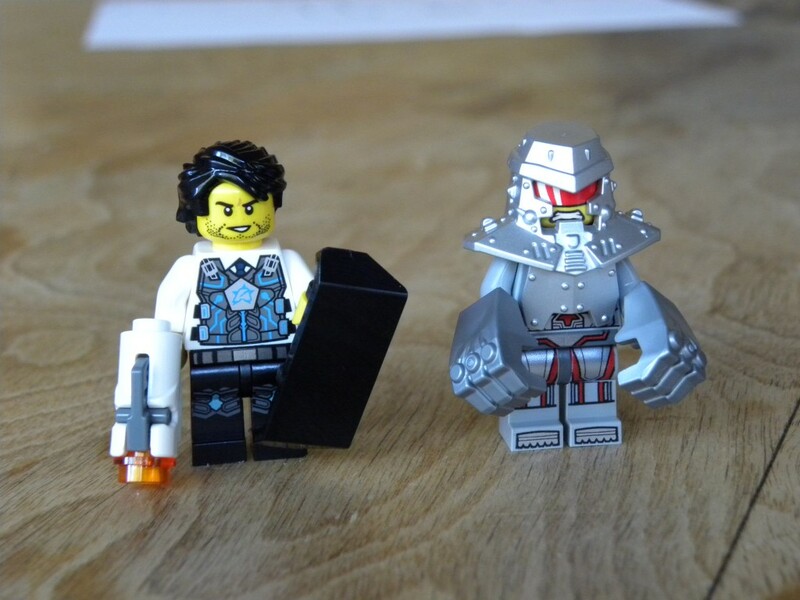 I put the two minifigures together first. Agent Jack Fury isn’t terribly unusual, but certainly looks more ‘tech-hero’ than some of the other more ‘men-in-black’ agents in the other sets. The villains in these sets are where it’s at, and Tremor is no exception. He has a great ‘techno-villain’ look, armed with those cool metal fists (seen with a lot of the Chima gorillas) and clad in his unique armor. He looks like a bruiser! Most of the unique elements in this set are in the minifigures, but there are a pair of 1×1 translucent green tiles with circuit printing that look nice. 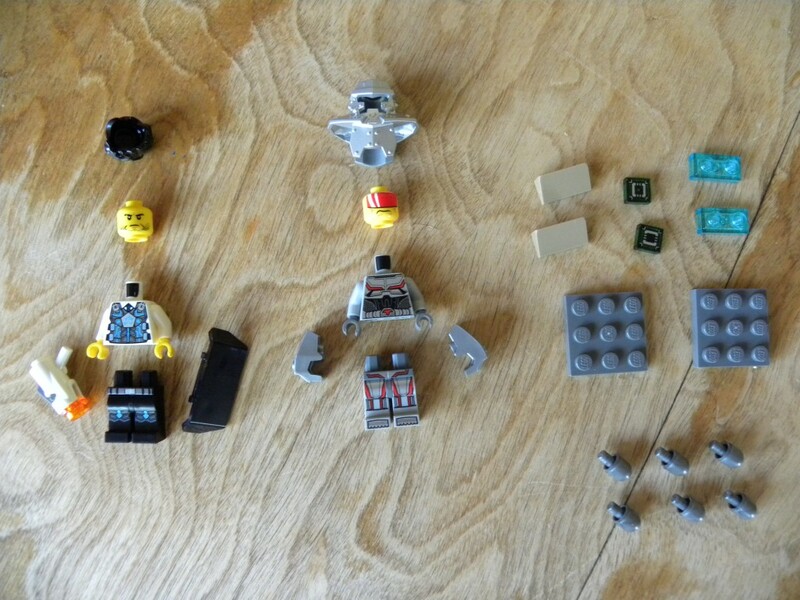 The minifigures have print on both sides of the head and torso, and the legs. There are some other nice uncommon elements in the set, nothing unique, but a good selection for a small set. After the dudes are put together, the instructions start on the small build. It is some kind of strong box/vault for holding the circuit that Tremor is trying to steal. 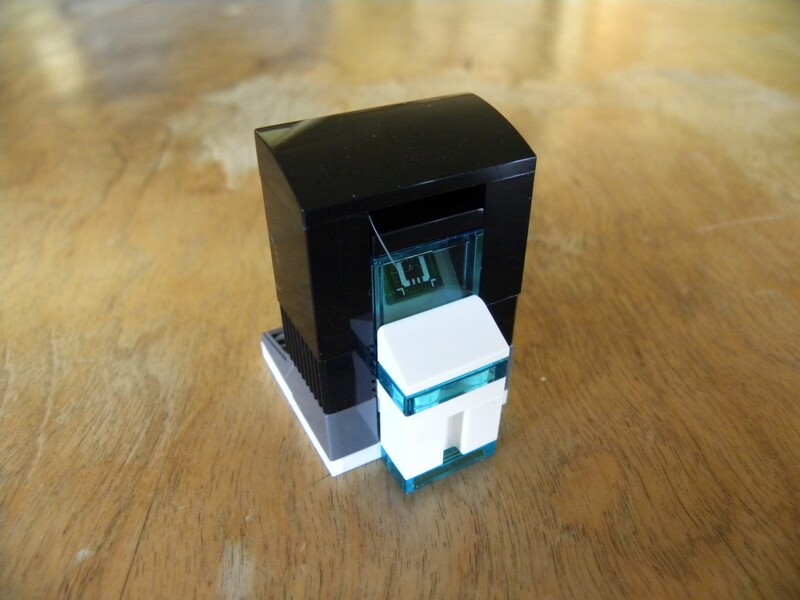 It is a simple little build, but has a few nice bows and translucent elements. With the little box done, we get to the meat of the set: Tremor’s tank. 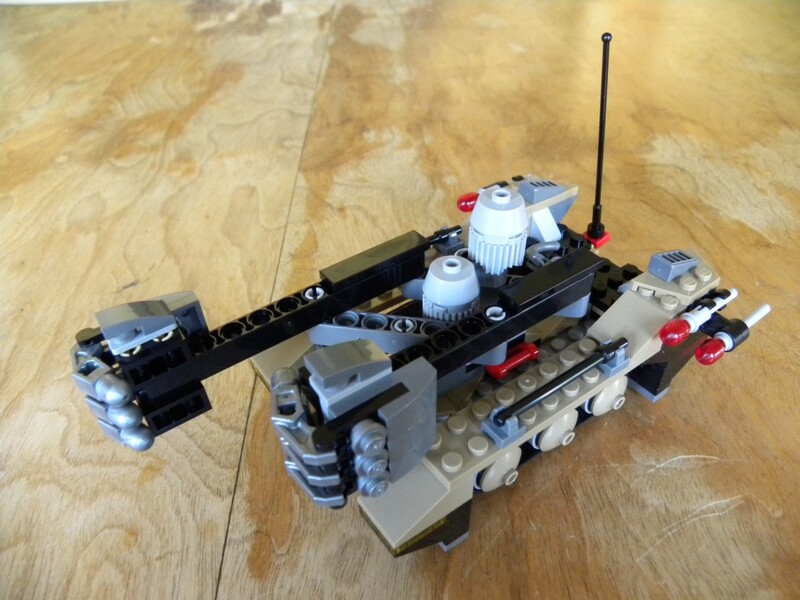 Putting it together, it was obvious that the focus of this tank is play features: giant punching fists, flick missiles, and tough construction. The construction technique is pretty simple, just a little bit of technic for the moving fists and tracks, and almost no snot. There are some nice elements of detailing with translucent plates and other pops of color. It’s a silly little tank, but my son was instantly entranced with it. As soon as I was done with the build and my photos, he swooped in and started battling. Instant and obvious play value there. For the AFOL, the value is definitely in the elements and humor. This set would make a good draft set (though there might be unwanted technic elements). 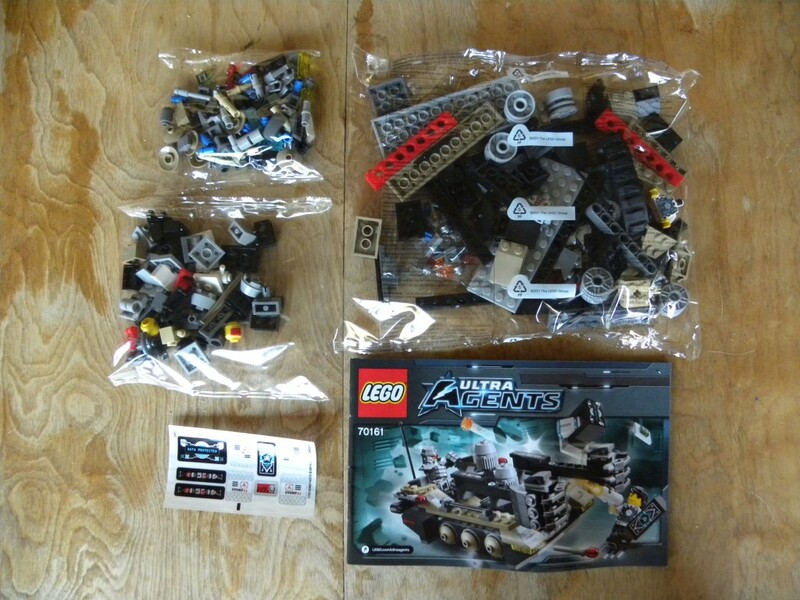 It’s a nice little set and good value for the money (241 pieces at 8.3¢ per). 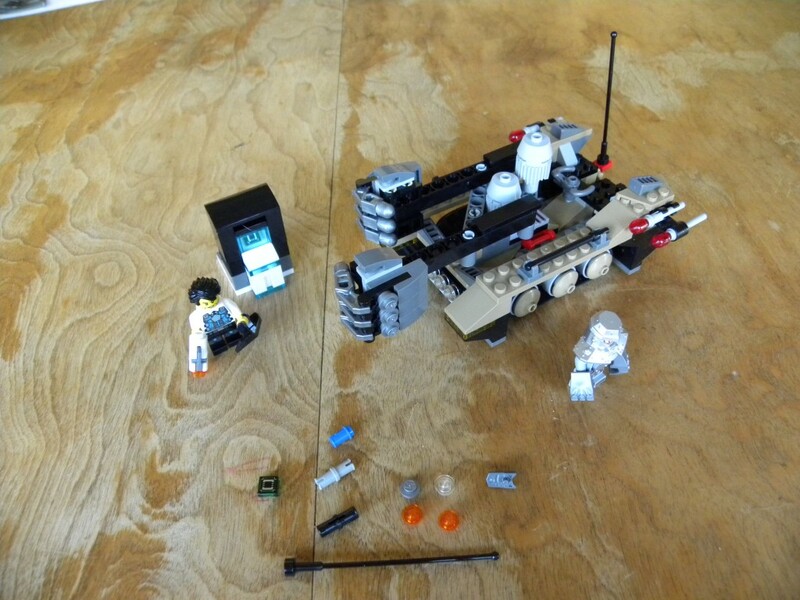 There is something here for military or sci-fi builders, especially the minifigures. Keep building!